Like many of you, I have a love of pets. They bring much joy into my life on a daily basis and are always the most loyal of friends. But there is always one struggle I wish I could do without. That is, who can I ask to watch them the next time I go on leave or away for work? This is where Rover comes in. Think of it as an Airbnb for your pets. Instead of looking for a place for you to stay on your vacation, you use Rover to help you find a place for your furry friend to stay while you are away. What about if your dog suffers from separation anxiety or needs to be walked during the day? Rover has a fix for that too. They offer drop-in visits as well as dog walking services through their website. I feel like I have been selling them up on how you could use their service. So how can you make money? I mean, the point of this post is to help you get extra income in your free time. As previously mentioned, Rover operates like Airbnb. Why not be the solution to the question I offered at the beginning of this post In short it was, who will watch my pet when I am gone? 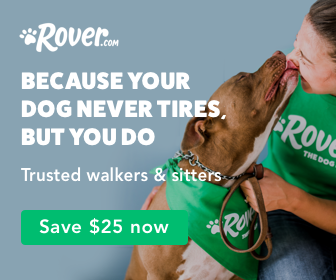 Like Airbnb, Rover offers you the opportunity to have your own pet sitting side hustle on your own time. You chose the price you will charge, the dates you are available, and the types of pets you will care for. Are you free during the day and like walks? You can take advantage of walking dogs or drop-in visits during the day all while making even more money pet sitting at night. You can also choose to be a doggy daycare. This option is ideal should your spouse work at home. If you have children, Rover could serve as a great entrepreneurial opportunity for them. Taking care of other’s pets would not only teach them responsibility but also how to make money. Does Rover seem like something you could do to make money on your free time? Make an account on their site and get yourself listed as a care giver for someone’s furry family member. After your account is created, it takes about a week for them to approve you. This is due to Rover conducting a manual review of each application. Discount to have your own pet watched. In the event you are in need of having your furry friend cared for by someone else, Rover currently has a $25 discount for your first stay.